The central symbol of Rosh Hashanah is definitely the shofar – the ram’s horn that we blow during the prayers on both days of Rosh Hashanah. The loud, haunting cries of the shofar gather us together as a community and encourage us to reflect on the past and the future. The sound of the shofar has many associations and was used at different occasions in Jewish history; as an alarm when danger was at hand; as a battle cry before war; and in the Temple during the holidays. No matter your associations when you hear the shofar, though, there is one central concept that the rabbis teach in relation to the shofar and that is the idea of intention, in Hebrew “kavanah”. In the Mishnah (rabbinic codification of Jewish law from the 3rd century CE) the rabbis ask, what happens if a person is just walking past the synagogue on Rosh Hashanah and hears the shofar blowing? Did that person fulfill the mitzvah (commandment) of hearing the shofar? The answer is – it depends. If the person heard the shofar, even by chance, but then had an intention to do the mitzvah, then yes, that is enough. 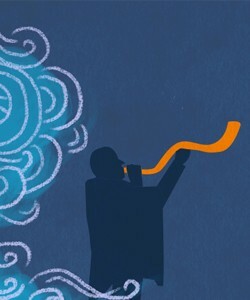 He (or she) doesn’t have to be in the synagogue and may even not know in advance that it is Rosh Hashanah, but if he hears the shofar and deliberately intends to connect to the tradition of shofar, together with the rest of the Jewish People, he has done the mitzvah. But, if a person is walking by and hears the sound, and keeps going with no intention to make this a deliberate mitzvah, then he has not done a mitzvah, even though he heard the same sound as the first person.This is a critical teaching for us – about the shofar, and for many other things in life. Hearing the shofar is one of those times in Jewish tradition when what you feel about the action you are doing is of critical importance. Being part of the mitzvah of shofar is an intentional act, and it can’t happen by mistake or by rote. As Jewish educators and communal professionals we can learn a lot from this idea. Although some of us might have found our positions “by accident” or without a lot of planning or intention, we can still discover our own “kavanah”, our own purpose and to do our work with intention. And everything we do, whether we are creating programs, working with volunteers, or managing our communities, needs intention – kavanah – in order to be done in the best way. Just like the shofar needs us to be active and conscious in order to experience it fully, so the holy work we do also needs us to be thoughtful, deliberate and fully present. Yesod is here to help you be the best Jewish professional you can be, and so we wish you, your families, friends and communities a wonderful and sweet new year, full of intention and purpose. We look forward to working with you in the coming year. 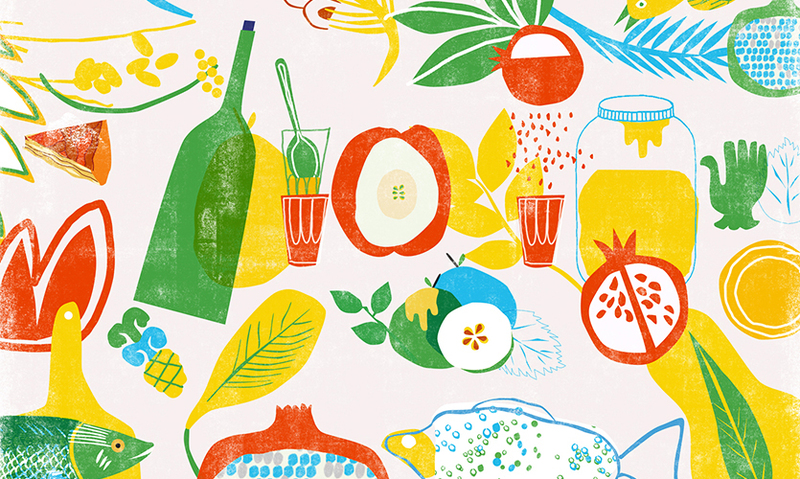 From the Schusterman Foundation, you can find this wonderful Rosh Hashanah Seder, perfect for hosting a Rosh Hashanah dinner. This resource is also available in Russian, Hebrew and Spanish and includes a guide for hosting and downloadable placements and materials. From the Yiddish Book Center‘s site you can find excellent resource kits about the binding of Isaac (Akeidat Yitzchak), for Rosh Hashanah and one about Yom Kippur and Sukkot. In each, you’ll find poems, paintings, songs, short text excerpts, and videos, with teacher guides and background information. Great resources from Bimbam for the holidays. Short animated videos, source sheets and more, great for kids and families.